Patea Dam on the Patea River, holding back Lake Rotorangi, a 46km long hydro power lake. 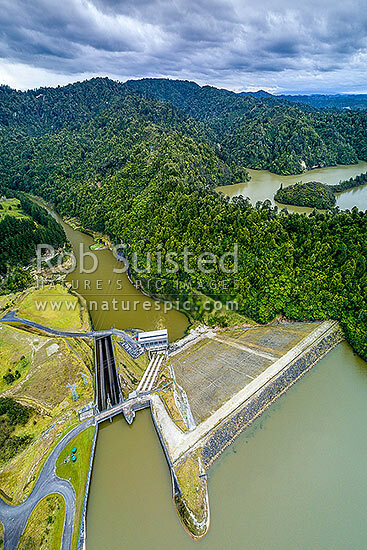 Patea Dam is rated at 31 MW output, 80m high, built 1984. Aerial view. Tarere Conservation Area, Patea, South Taranaki District, Taranaki Region, New Zealand (NZ), stock photo.